There tend to be few things nowadays which can be much better than a slice of cake for your morning meal. Specifically one like this – a moist yellowish cake, studded with plump blackberries, and topped down with a delicious buttery crumble infused with lime gusto? You had myself at cake. Coffee cakes are a good selection for any gathering really, be it brunch or as a dessert after dinner. I like the truth that it only uses a couple of bowls, making for super easy cleanup. It’s been a busy few days around here; cupcake requests to fill, physicians appointments, field trips – but I happened to be craving some thing nice. 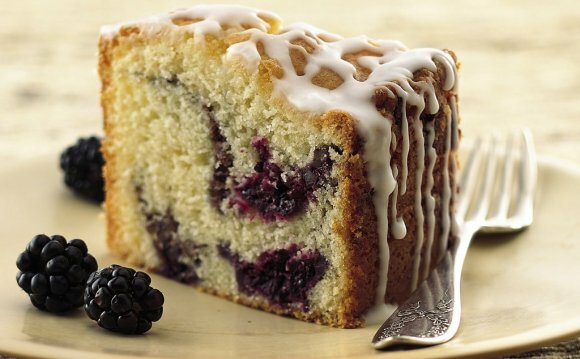 Occurred across some gorgeous blackberries within shop, and remembered a coffee cake that the lovely Annie had published sometime straight back. Modified it some with the blackberries, therefore turned-out gorgeous! If you’re wanting one thing special for your break fast table this weekend, search no longer. Have a good weekend, everybody! Preheat the range to 350? F. Lightly grease and flour and 10-inch springform cooking pan. To make the crumb topping, combine the flour, sugar and lime zest in a little dish and mix to mix. Pour within the melted butter and mash with a fork through to the mixture is crumbly. Reserve. To make the cake, combine the flour, sugar, cooking powder, baking soft drink and sodium in a sizable bowl. In a 2-cup measuring cupl, whisk together the eggs, sour lotion and vanilla until well-blended. Make a well during the flour mixture and pour inside fluid ingredients. Fold together carefully until evenly combined with no lines stay, becoming cautious to not ever over mix. Pour the the batter into the prepared pan in a straight layer. Dot the top the batter aided by the blackberries. Sprinkle the crumb topping evenly across fruits. Sprinkle sliced almonds over the crumble. Bake before the topping is golden-brown and a toothpick inserted into the center associated with the cake arrives clean, 38-42 moments. Transfer the pan to a wire rack and allow cool off for 20 mins. Remove the sides for the springform pan. Provide cozy or at room temperature, slashed into wedges.